Before you start a company it is essential that you have a fairly accurate idea of your startup costs. If you know what you need in terms of funding you will then know how much money you have to put aside. If you need to seek financing from others you will be able to make a plan for how these funds can be secured. The following article offers some advice on calculating lawn care business startup costs and how to keep them to a minimum. It also lists some of the major startup costs faced by those wanting to start a lawn care business. To lower your risk when you are first starting out and to keep debt to a minimum you should try to keep your total startup costs as low as possible. 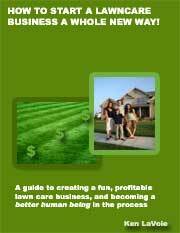 This is usually not hard to do and it is possible to start a lawn care business for less than a few thousand dollars. Some entrepreneurs have more serious ambitions right from the outset though and spend a lot more. If you want to become a franchisee or buy everything that you need to start a professional operation right away you could easily spend up to $50,000 or even more. Be sure to separate your startup costs from your ongoing operating expenses. When calculating how much you need to get started in business it is wise to also allow for at least several months worth of operating costs in case your revenue grows at a slower rate than you had expected. Instead of buying a lot of equipment at first, just start off with the essentials and pick up more equipment as your profits increase. Buying quality, second hand equipment is one way to reduce your set up costs and lower your risk. You could also consider leasing it. 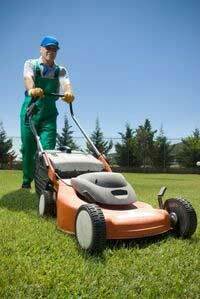 If you can secure a lease for a reasonably short time period then you can try out the lawn care business for a while. If you discover that the industry is not for you then you can easily exit the business without being left with expensive equipment or debt. Talk to other business owners, even if they are not in the industry. Ask them about their startup expenses and if there was anything that they overlooked or underestimated. One major initial cost that you will be facing is transportation. Your own vehicle may be suitable if you start out with a regular small sized mower at first but once you purchase commercial equipment you will need a trailer or small truck to fit everything in. Basic starting equipment includes a lawn mower, mulching bag and an edger. To increase productivity you will need to buy commercial equipment as soon as possible. You can choose from 'ride on' mowers, ZTR (Zero Turn Radius) mowers and 'walk behind' mowers. You should budget around $2000 to $7000 for this depending on your preferences. Other equipment purchases to budget for include trimmers, blowers, safety equipment, uniforms and basic yard tools such as hedge clippers. Startup costs for your lawn care business could also include the costs associated with establishing a legal business structure such as a sole proprietorship or a limited liability company. You will also need to apply for a business license. These things may not be necessary right away if you are not earning beyond a certain amount of income each month so check with your city or county beforehand. You may also have to figure in other professional fees and services. You could require advice from an accountant and it is advisable that you take out insurance to protect yourself and your equipment. To get started right you should look into establishing a brand for your lawn mowing business right away and have a logo designed. 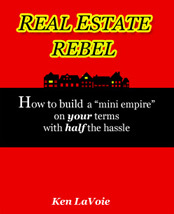 Other initial costs will include business cards and other marketing materials such as flyers. You should plan on running at least a small advertising campaign in your local media to launch your business and to create some interest. You will need to setup a small home office if you don't have one already. A computer and billing software are not necessary right away but it is good to start off in an organized manner if you can afford it. You will also have to purchase stationery and look at solutions for taking phone calls from prospects. Even those who are realistic with their startup costs sometimes find that they underestimated their financial requirements in some areas. Costs are also often subject to change. To be on the safe side you should add on an allowance of 5% to 10% for miscellaneous or unforeseen costs. Having a good understanding of the costs that you will have to cover will help you to write a more accurate business plan for your lawn care business. One of the common reasons for failure in this industry is a lack of funding to stay in business. Successful business owners reduce their risk by proceeding cautiously and making sure that they understand all of the costs and expenses that are necessary to start their business and grow it successfully.